On July 7th 2005 bombs ripped through trains and a bus in London. Jenny Nicholson, who was 24, had boarded the eastbound Circle Line train at Paddington station. Moments earlier she called her boyfriend James White on her mobile. Minutes later the train was blown up by suicide bomber Mohammed Sidique Khan. Her mother, Julie Nicholson was unable to speak at her daughter’s funeral, but someone read on her behalf - "There are few human words that can adequately express what we feel about people who indiscriminately carry out apparent acts of senseless violence against innocent civilian populations and, unbelievably, do so in the name of God. Such delusion, such evil, is impossible for us to begin to comprehend." Since then she has been unable to forgive; unable to move on. Her plight is all the more moving when you realise that she is ordained. 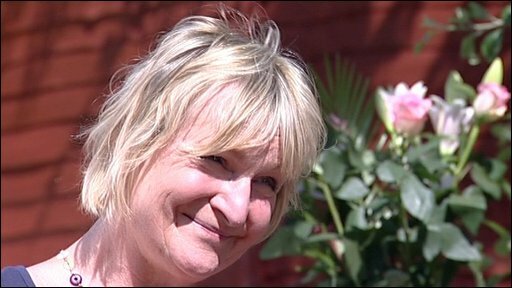 Rev’d Julie Nicholson has resigned her post in Bristol as since 7th July she has been unable to preach forgiveness. She said, "It's very difficult for me to stand behind an altar and celebrate the Eucharist... and lead people in words of peace and reconciliation and forgiveness when I feel very far from that myself ... So for the time being, that wound in me is having to heal..."
On the same day, Maria Williams lost her son Anthony. Reflecting on how she felt after the realisation that he had died sunk in, she said "Lord okay, I'm all done, and like you say good will come out of this, I leave it in your hands". And that's how I feel. He's a prince of peace and Anthony was a peace lover, he loved people, he loved to help, he was charitable, and as a test of tests I gave him up to God and I said "Lord take him to yourself and then use me as a vehicle of your peace. Use me Lord, lead me, I put my hands in your hands, guide me, shield me and show me the way to go". That's why my guiding philosophy is to recognise and have a common humanity. I'm working for peace. For as long as we don't recognise our common humanity and let our difference separate us and create this yawning gap of self and other ... so long will we have a problem. Two grieving mothers responding to the same situation in different ways, demonstrating clearly how difficult it is it forgive as Jesus calls us to - even for Christians. Yesterday evening we reminded ourselves that Jesus teaches that forgiveness is something that must come from the heart - it must be freely given - over and over again. It is not just a matter of forgiving or loving those whom we like, because even ‘sinners’ do that but forgiveness must extend to those whom we object to. We must not judge or condemn, but forgive and we will be - not by our enemies - but by God. We also remembered that the majority of the time Jesus talks of forgiveness in relation to sin. Sin being the things that we do and say that build barriers between us, God and other people. Jesus came not to rescue humanity from sin, but to complete God’s work of creation, as in Jesus’ life, death and resurrection the barriers that we build between us and God come down once and for all. Forgiveness for Jesus it seems is about receiving assurance of that fact, repenting, and living this new way. Living this new way is impossible without God - we cannot try and do it under our own steam. Look at the story of the rich young man in Matthew 19. He asks Jesus what good thing he needs to do to get eternal life. Jesus as usual turns the whole thing on it’s head - if he wants eternal life he should obey the commandments. The man replies that he has done this; what else does he need to do? Jesus tells him to sell his possessions and give to the poor. The man leave downcast. Astonished at this exchange, a little later the disciples ask, who can be saved? Jesus replies that in our own strength no one, but with God all things are possible. Christians recognise that forgiveness is one of the hallmarks of the new life that Jesus inaugurates. So often we find that we cannot just give it, even though we may wish to. Look at the story of the Samaritan woman again in John 4. In their discussions Jesus asks her for a drink of water from the well, and offers her ‘living water springing up and giving eternal life.’ Jesus refers to this living water again in John 7 - whoever believes in Jesus shall have ‘streams of living water flowing from within them.’ Here John tells us clearly that Jesus is referring to the Holy Spirit which believers would later receive. The forgiveness of which Jesus speaks in the Gospels, which we are to give must flow from us like the streams of living water - the new life of God. Forgiveness is not ours to give, but God’s forgiveness flowing through us because of the presence of the Holy Spirit given in the living waters of Baptism. Why is it sometimes so hard to forgive? It is understandable after what these and countless other mothers have been through. It might be to do with those we need to forgive or what they have done. In times like these we can become the camel trying to pass through the needle - like the rich young man - we may know what God asks of us and yet be unable to exercise it. More shockingly though it might be to do with us. In times like these we need to become like the Samaritan woman listening to Jesus, and to ask God for living water to flow out even through us. So who can forgive and be forgiven? Jesus assures us that in our own strength, no one. But with God, all things are possible.